Application: For process control and instrumentation. Passes UL type CL2, CL3 vertical tray flame test. 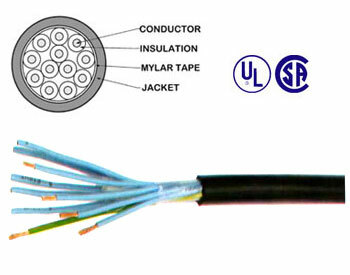 Installed in cable trays, raceways, conduit or aerial. Copyright © 2003-2008 Cablethailand.com. All right reserved.